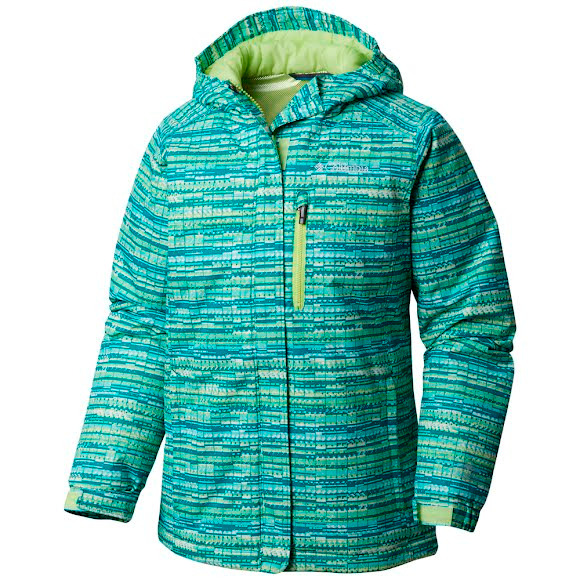 She'll stay warm and comfortable with a waterproof-breathable shell, synthetic fill, and a thermal-reflective lining. This Columbia Girl's Youth Magic Mile™ Jacket is a cold-weather must-have, featuring a storm hood, zip-up hand pockets, elastic cuffs, and reflective details for low light. She&apos;ll stay warm and comfortable with a waterproof-breathable shell, synthetic fill, and a thermal-reflective lining. This Columbia Girl&apos;s Youth Magic Mile™ Jacket is a cold-weather must-have, featuring a storm hood, zip-up hand pockets, elastic cuffs, and reflective details for low light. Our Outgrown™ system makes it easy for this jacket to adjust to her growth spurts to extend the life of the jacket. We payed this jacket with navy ski pants; however it would pair well with black. My daughter is an average size 8 year old and this jacket fit with a little room to how in the arm length so I think it runs a little big.